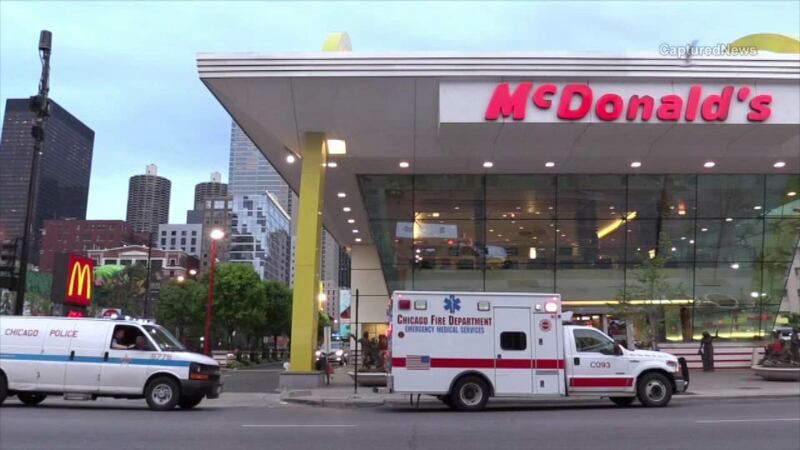 CHICAGO (WLS) -- A homeless man ran into the Rock 'n' Roll McDonald's in the city's River North neighborhood after being stabbed, police said. The man got into a fight with another homeless man in a nearby alley Sunday, police said. The victim was stabbed several times before the other man ran off. The stabbing victim was hospitalized in stable condition.